Emmet (Chris Pratt), an ordinary LEGO figurine who always follows the rules, is mistakenly identified as the Special — an extraordinary being and the key to saving the world. Join us for this family-friendly adventure from the world of bricks: The Lego Movie (2014). The LEGO Movie is the first-ever, full-length theatrical LEGO adventure. 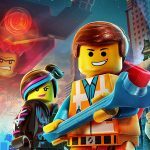 The original 3D computer animated story follows Emmet (Chris Pratt) an ordinary, rules- following, perfectly average LEGO mini-figure who is mistakenly identified as the most extraordinary person and the key to saving the world. He is drafted into a fellowship of strangers on an epic quest to stop an evil tyrant, a journey for which Emmet is hopelessly and hilariously under-prepared. This film is rated PG, children must be accompanied by an adult. It is free and movie-goers may bring their own snacks and covered non-alcoholic beverages.